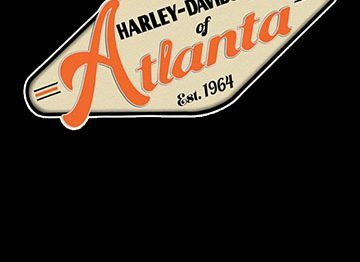 Located on top of scenic Chandler Mountain in NE Alabama, sits one of the state’s most popular motorcycle hotspots. Open since 1995 in another county, Scott and Amanda Chandler opened Eagle Vision Cycles in June, 2008 to accommodate bikes and bikers for fun, sales and service. odels of bikes, parts and motorclothes. And on most weekends, you will find someone flipping burgers, hot dogs and occasionally BBQ to satisfy every hungry biker. Chips and beverages are also available. One thing Eagle Vision is famous for is they keep well over 200 name brand tires in stock for your bike needs. Tire changes and service work can be done most weekends, but more technical work will now be done on Wednesdays and Thursdays by appointment. And Eagle Vision will have new business hours as well starting this year by opening Friday through Sunday at 11 AM and staying open until….. So come on by and visit the friendly staff and management and sit a while in the comfortable rockers or on the deck with its scenic views. 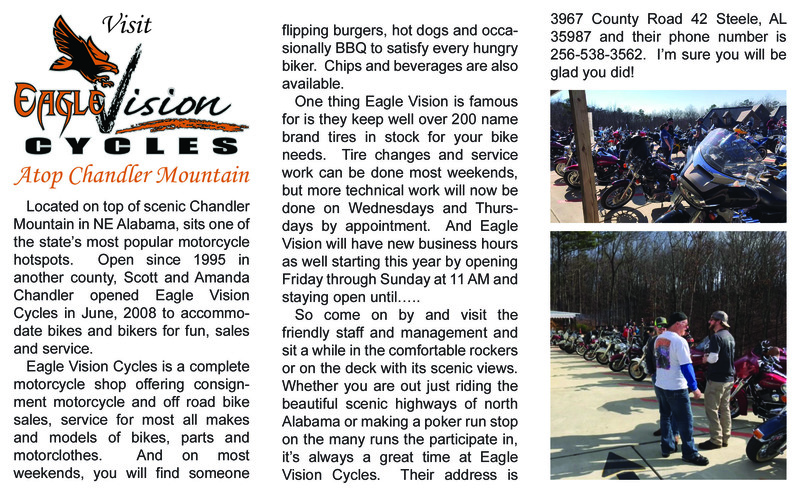 Whether you are out just riding the beautiful scenic highways of north Alabama or making a poker run stop on the many runs the participate in, it’s always a great time at Eagle Vision Cycles. Their address is 3967 County Road 42 Steele, AL 35987 and their phone number is 256-538-3562. I’m sure you will be glad you did!